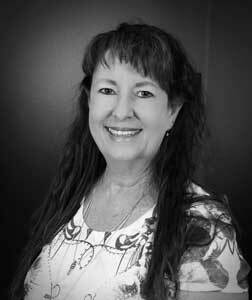 As a licensed massage therapist, Kenya has been actively pursuing her desire to help heal others through massage and bodyworks since 1995. After completing her education at what was then known as MTTI, she went on to become certified in Medical Massage, Trigger Point Therapy, Myofacial Release, Ancient Thai Massage, Massage Cupping, Equine Sports Massage, and Hypnotherapy; completing her advanced education and certifications while owning and operating her privately owned business. In addition to performing massage therapy in her own business, she has helped to heal others while performing massage in chiropractic offices, fitness centers, and spas. Through her experience with the public she came to discover the gap in training and knowledge for those with the goal of becoming a licensed massage therapist. This discovery led to a passion in educating clients and students alike on the validity of massage therapy as a part of the health care regimen. In 2013, the opportunity to instruct the next generation of massage therapists became available and she excitedly became a member of the City Pointe team. She continues with a passionate desire to further her education and knowledge base and ensure that future massage therapists are provided with the highest level of education and experiences.